2By identifying which zone applies to you, you can select the correct product to help you treat your specific problem area. Ideal for deep tissue massage, our unique massager can help you to quickly and easily reduce tension by applying pressure exactly where you need it, relaxing the muscles and easing pain. 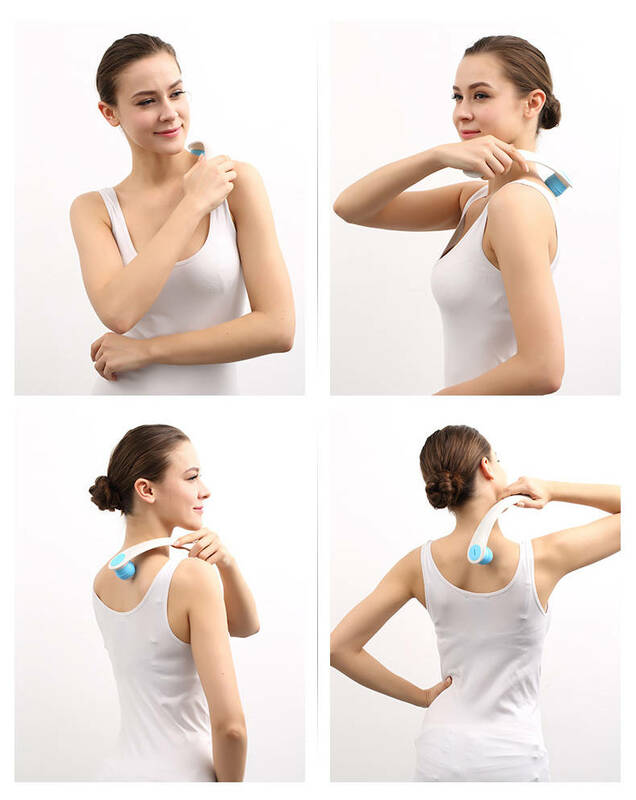 Designed specifically for the lateral neck area (zone 2) to relieve shoulder and upper back pain, the Dual Action Roller Massager can be used on all areas of the back and more. With a specifically designed curved handle, the massager allows you to reach even the most awkward areas of your back comfortably. 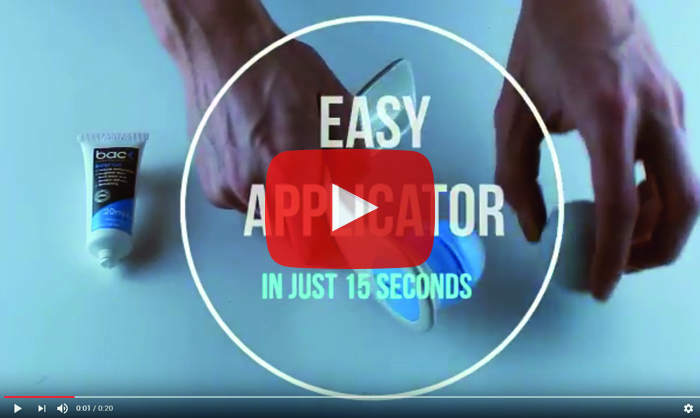 Self-controlled, with no additional power needed, the Massager gives you the ability to massage yourself at anytime, anywhere without the need for a second person. Its manual working also allows you to apply as much or as little pressure to the area of pain or tension as you require. 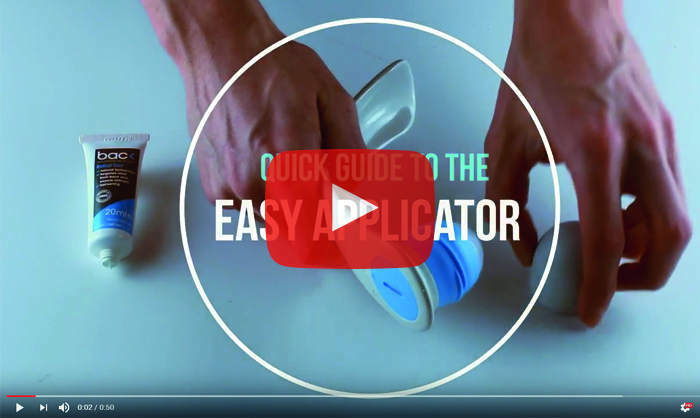 Also designed as an applicator for topical lotion, the Dual Action Roller Massager comes with its own tube of Relief Gel (20ml) for additional relief, which can be dispensed through the massagers’ rollerball head for mess free, targeted application. Can I use the Massager without the Relief Gel? 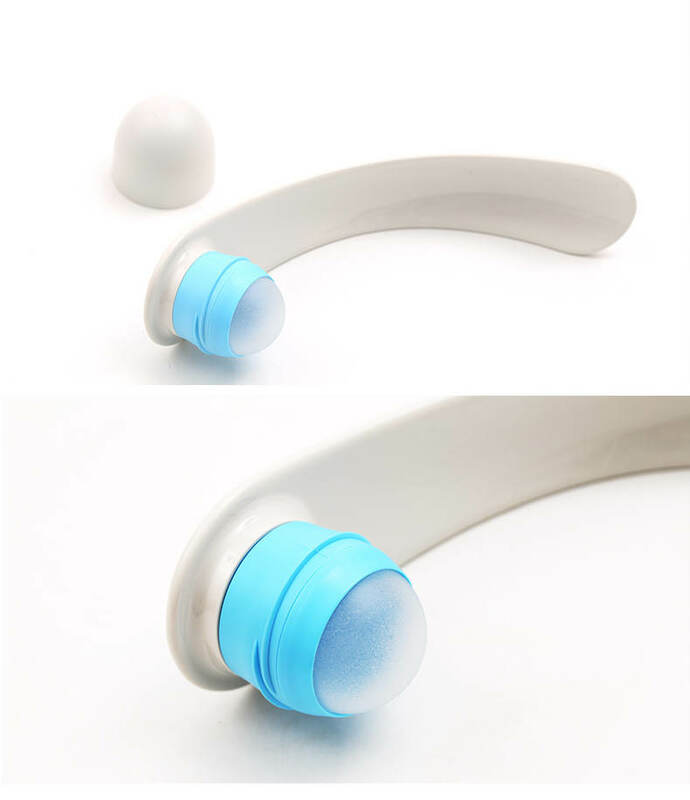 The massager can be used both with and without the Relief Gel. Without the Relief Gel the Massager still provides a deep tissue massage with minimal friction. How many times can I use the Massager? The Massager can be used as many times as you like, however we recommend that you massage problem areas twice a day. What are the benefits of using the Relief Gel? The Relief Gel provides therapeutic relief to muscle stiffness through a cooling effect, which is generated by the essential oils and extracts used in the gel. What are the ingredients of the Relief Gel? Water (Aqua), Aloe Barbadenis Leaf Juice, Arnica Montana Flower Extract, Anthemis Nobilis (Chamomile) Flower Extract, Calendula Officinalis Flower Extract, Urtica Dioica (Nettle) Extract, Sd-alcohol-40, Menthol, Cinnamomum Camfora (Camphor) Bark Oil, Prunus Amygdalus Dulcis (Sweet Almond) Oil, Triethanolamine, Acrylates/C 10-30 Alkyl Acrylate Crosspolymer, Eucalyptus Globulus Leaf Oil, Eugenia Caryophyllus (Clove) Flower Oil, Phenoxyethanol, Ethylhexylglycerin, Polysorbate 20, Melaleuca Alternifolia (Tea Tree) Leaf Oil, Lavandula Angustofolia (Lavender) Oil, Mentha Viridis (Spearmint) Leaf Oil, Mentha Piperita (Peppermint) Oil, Borago Officinalis Seed Oil. Who can use the Relief Gel? Most adults can use the Relief Gel providing they don’t have an allergy or sensitivity to any of the ingredients. Please do not use the Relief Gel if you are pregnant, breastfeeding or have damaged skin.